Rio de Janeiro - beyond the beaches and the Christ | Chicken or Pasta? Right after hosting the World Cup, comes the Olympic Games. Not to mention the biggest parties in the world, between New Year’s Eve and Carnival. Rio is definitely the place to be. The city now attracts different kinds of travelers that want push through the old clichés. Gorgeous nature and beaches still frame the postcards, but the cultural life goes way beyond the cableway of the Sugarloaf and the famous Christ statue. For first-timers, it’s better to check out other (and more traditional) cityguides – everybody has to see the view from up the Corcovado. But this guide here is for more experienced visitors: it brings venues like restaurants, botecos and activities filled with locals, that specialize in the carioca way of life. The subway is not the best option for getting around, since it only reaches a few areas of the city. There are only 2 lines, that almost overlap in the majority of their ways. Line 1 goes from Tijuca to Ipanema, and line 2 from Pavuna to Botafogo. Both go through the city center. It’s always a good idea to find a place to stay near a station, anyway. It runs along most of the South Zone, where a lot of the points of interest are. Women get a men-free car during rush hours. Some stations, like Tijuca, connect with bus lines, and you can get a discount fare. There are also 2 trams, both leaving Gávea, one going to Ipanema and the other to Botafogo. Buses are a good choice, because they go almost everywhere in town. And most of them work during the whole night. This website shows all the lines and paths available. There are also nice boat services, if you plan to visit neighbor city Niterói, ou the island of Paquetá, where there are sometimes good events and parties. 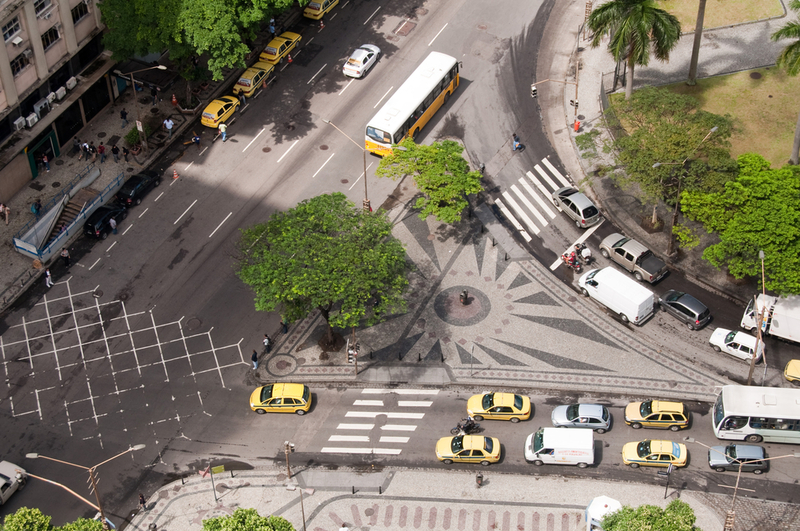 Last but not least, taxis are a relatively cheap option, comparing to other Brazilian cities like São Paulo. There are a few catches though: for example, drivers charge extra for the baggage when leaving from Santos Dumont Airport. Also, some not-so-nice drivers might go around off-route to increase fair, so it’s good to keep an eye on your phone map. At least they all keep air conditioning running, so it’s a good way to chill a little when the sun hits hard. Uber has been growing in everyday use, especially for longer distances, like when going to Barra. Cycling routes are the second biggest in the country, behind Brasília. However, some stretches don’t connect with others, forcing bikers to ride the streets with the cars. That can be an adventure in Rio. Bike Rio‘s orange rides work as Paris’ Velib. You take it at a random station and deliver it at another. You have to register and buy credits to do so, and payment can be for the day or the whole month. 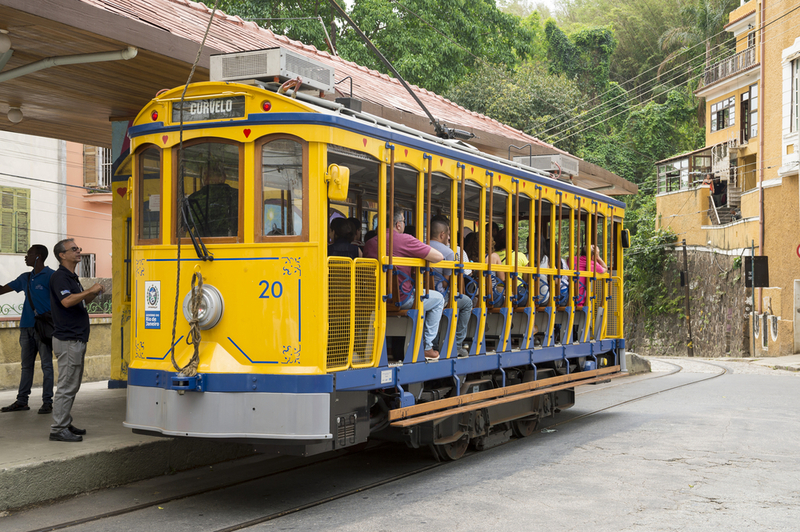 If you plan to visit Santa Teresa, the traditional streetcar is the way to go. It leaves from Rua Lélio Gama (close to Carioca Station) and runs til Largo do Curvelo, way up the hill. It works from 11am to 4 pm, but there have been promises to have it working at nighttime. 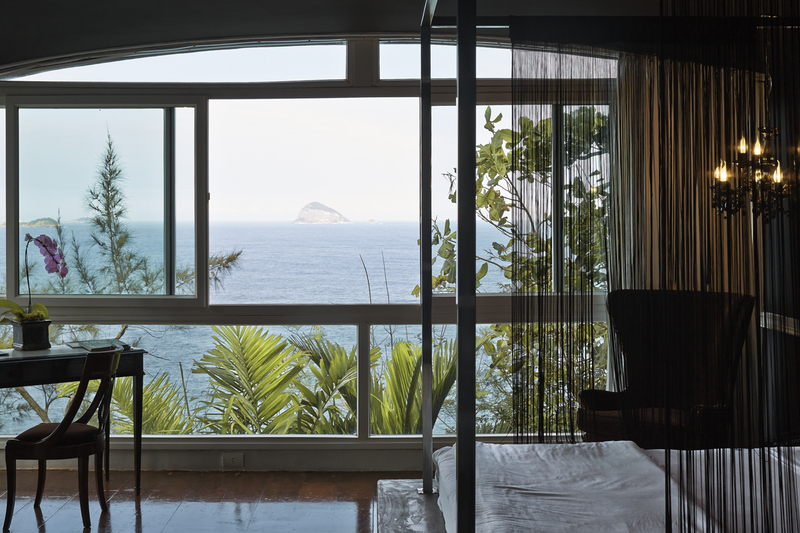 If you’re looking for a hotel in Rio, you’d better find out if the neighborhood fits your profile. South Zone is the most appreciated among tourists, but even in it there are big differences and characteristics to take into account in each area. 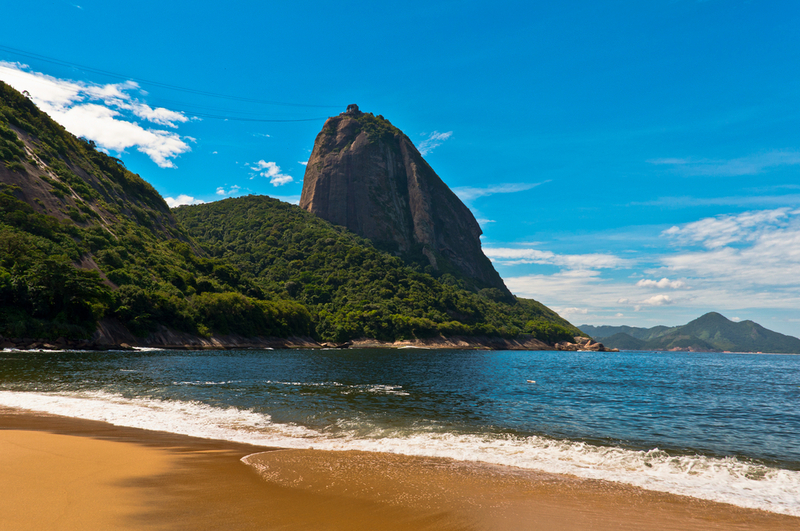 Copacabana and Ipanema, in general, are the most appreciated, since both have their own famous beach. Botafogo and Flamengo (and the cheaper Catete and Glória), despite being by the sea, are not proper for a swim – they are around the beautiful but terribly poluted Baía de Guanabara. The same applies to Urca beach, historically charming neighborhood, that has the nice Praia Vermelha close by to compensate. Leblon and Gávea are the most expensive areas in town, where a lot of nice restaurants and boutiques are. Ipanema is often crowded with tourists, but it’s more democratic, going from high-end to more accessible options. 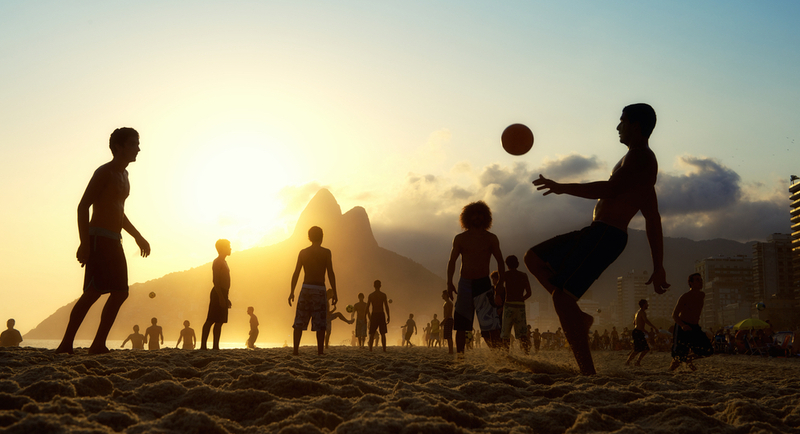 It’s also where the average carioca goes to the beach (weekends are packed!). Copacabana is larger e more chaotic. It mixes the sofistication of Copacabana Palace and the Red Light zone in Av. Prado Júnior. It used to be definition of glamour until the 50’s, and now it’s a summary of Rio’s contrasts, with the beach, slums, lots of old people that live there since forever, shitholes, everything at once. The restaurants by the beach there are often tourist-oriented (high prices and questionable quality). Don Camillo and a few spots in Leme are exceptions. Botafogo, nicknamed BotaSoho by a local newspaper, is the hip area along with the neighbor Humaitá. There’s no beach, but there are bars, restaurants of all kinds, three alternative movie theaters and subway stations. This is the place for indies, hipsters and cool people in general. 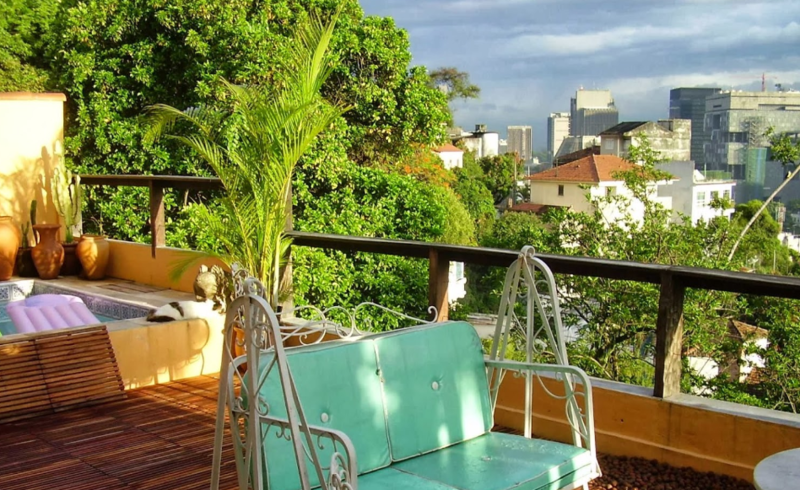 Lapa has always been the go-to place for bohemian tourists, but recently it has attracted people looking for low cost lodging. It’s not very interesting during the day, many streets are actually ugly and degraded, but it can work for those traveling on a no-frills budget. Youngsters tend to enjoy the non-stop partying mood. Only Sundays are quieter. And like anywhere in Rio, it’s good to keep vigilant for electronic devices, wallets and bags. Santa Teresa, known for the alternative, laid-back vibe, is a quite charming place to stay. There are hotels and BnB’s of all range, which applies also to the restaurants. Some of the most stunning views of the city are up there. The only downside is getting around, since the streetcar has limited schedule and taxi drivers are sometimes grumpy about driving uphill. 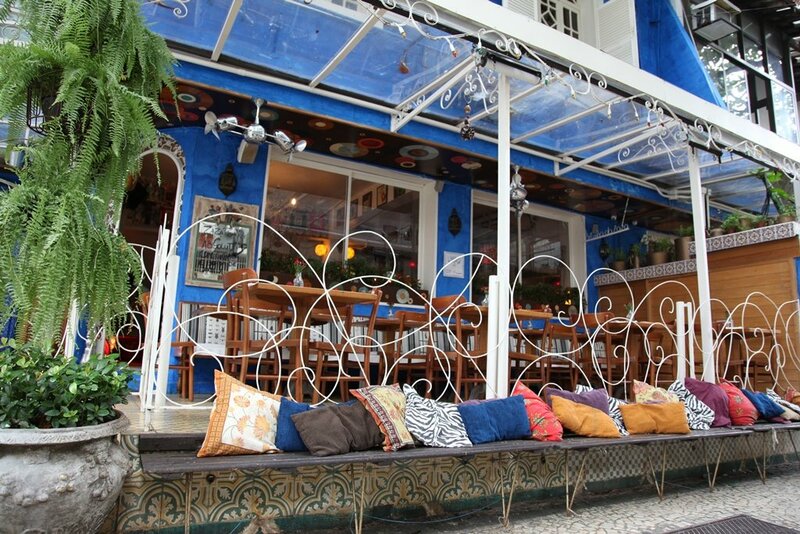 Cabanacopa Hostels are a little jewel hidden in Copacabana. Just beside a nice mountain, with monkeys and birds by the window, you would not believe they are in the most famous beach of the world. 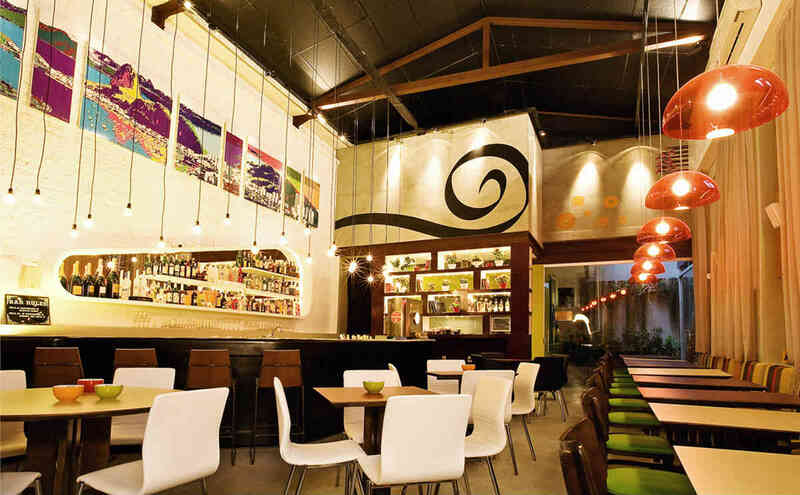 Their best feature is the bar and socialization area, where you can work while sipping a caipirinha. They also have nice private rooms, for those that privacy is a must. Rua Travessa Guimarães Natal, 12 – Phone (21) 3988-9912. Casa da Carmen e do Fernando is located in the heart of Santa Teresa, and is decorated to make guests feel at home. Good value for those seeking to know Rio from a different angle. R. Hermenegildo de Barros, 172 – Santa Teresa. Phone: (21) 2507-3084. Casa Beleza is also in Santa Teresa. The mansion with a pool is great for travelers that want to relax and enjoy the hotel. Great service and very well-recommended. Rua Laurinda Santos Lobo, 311 – Santa Teresa. Phone: (21) 2224-7403. On one hand Hotel Sol Ipanema lacks personality for the standard decorated rooms. 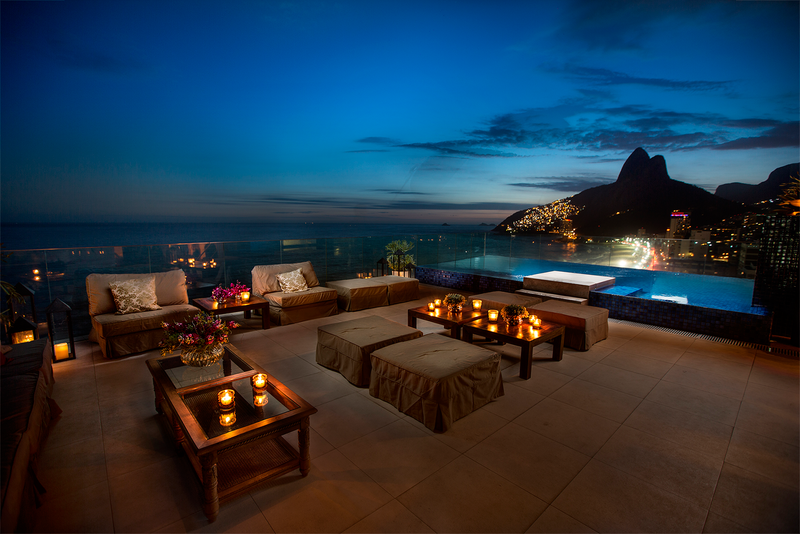 On the other, it’s well worth for the location and accessibility, sitting right in front of Ipanema Beach. If you decide to cross the Vieira Souto Av., there’ll be a chair and an umbrella waiting for you. If not, you can enjoy the pool and bar on the rooftop, with the amazing view around. Av. Vieira Souto, 320 – Ipanema. Phone: (21) 2525-2020. 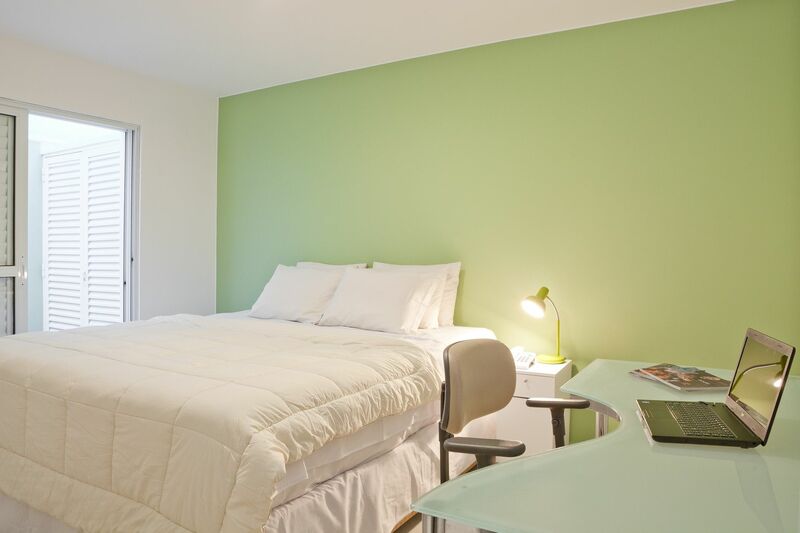 Rooms in Mar Ipanema Hotel are small, but modern and cozy, with a good shower and great bed. Location is also a plus, although rooms facing the street get a little noisy. Breakfast is served in Devassa Bar, located on the ground floor of the hotel. R. Visconde de Pirajá, 539 – Ipanema. Phone: (21) 3875-9191. Botequins (or botecos) are trademark dive bars in Rio. Although they’re getting rare in South Zone, you can still find them around, with the good old plastic furniture, greasy snacks and ice-cold beer bottles. In their place, more and more gourmet restaurants pop up, with famous chefs taking care of the kitchen. In 2015, 6 establishments received the prestigious star from the Michelin Guide, and other 8 got into the Bib Gourmand category, with excellent food for reasonable price. Most places don’t require reservations, and people are not used to doing it. But going out to dinner during the weekends might be a patience exercise for the hungry ones. Adega do Pimenta: 20 year old traditional German cuisine, specialized in porc ribs with baked potatoes and sauerkraut. R. Almirante Alexandrino, 296 – Santa Teresa (and another branch in Praça Tiradentes, 6 – Centro). Phone: (21) 2224-7554. Hours: Monday to Friday, 12pm – 10pm. Saturday, 12pm – 8pm. Sunday, 12pm – 6pm. Aprazível: This place is almost a postcard of Rio. 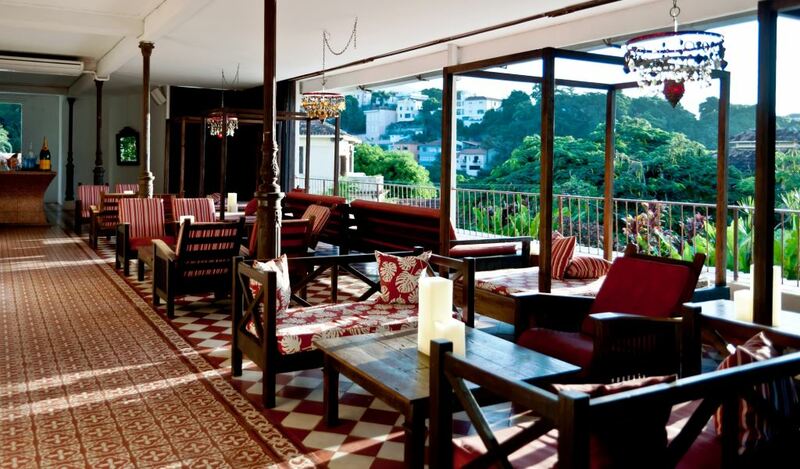 The old mansion overlooks Guanabara Bay, and it lives up to the name, that means ‘pleasant’. The menu focuses in tropical and organic ingredients from all over the country. Reservation is recommended. Rua Aprazível, 72 –Santa Teresa. Phone: (21) 2508 9174. Hours: Tuesday to Saturday, 12pm – 11pm. Sunday, 12pm – 6pm. Térèze: One of the most exclusive (and expensive) gastronomic experiences in town, inside Santa Teresa Hotel, famous for hosting Amy Winehouse. The menu mixes Brazilian and French cuisines, and the bar specializes in cachaça. Rua Felício dos Santos, 15 – Santa Teresa. Phone: (21) 3380-0220. Hours: Daily, from 7am to 10h30pm. 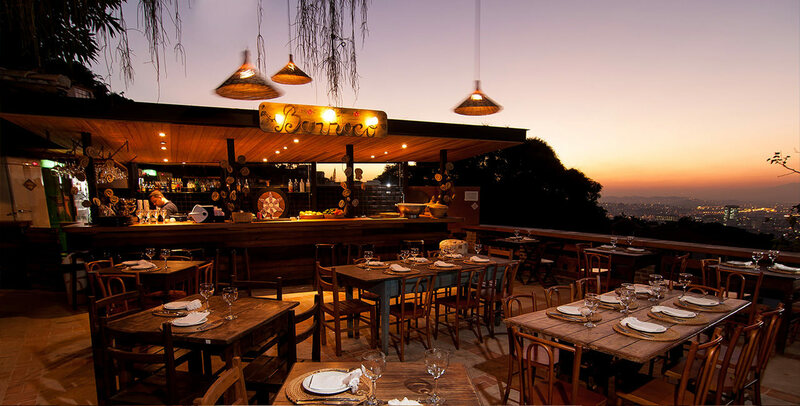 Restaurante Nordestino Café do Alto: This buffet-style restaurant serves typical food from the northeastern region of Brazil, with a lively musical mood. Largo do Guimarães, 143 – Santa Teresa. Phone: (21) 2507-3172. Hours: Monday, 12pm – 8pm. Tuesday to Friday, 12pm – 10pm. Saturday, Sunday and Holiday, 9am – 10pm. Aconchego Carioca: This place was responsible for making rich people from Leblon and Ipanema cross the city uptown, just to indulge themselves with the best feijoada, pastel and caipirinhas. Even Nigella Lawson and Ferran Adrià ate there. The owners, mother and daughter, got so succesful that they opened another restaurant in Leblon, but the wait to get a table is long. Be prepared. Rua Barão de Iguatemi, 379 – Praça da Bandeira. Phone. : (21) 2273-1035. Hours: Tuesday to Saturday, 12pm – 11pm. Sunday, 12pm – 5pm. 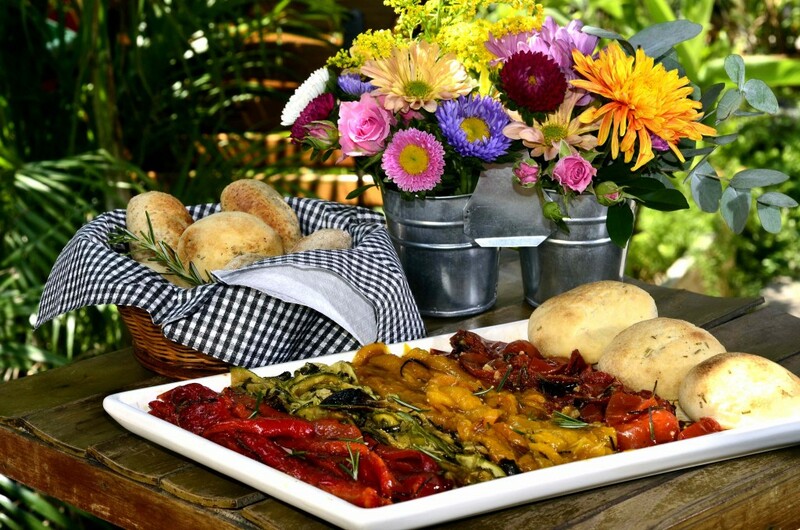 Prana Cozinha Vegetariana: One of the best vegetarian restaurants in Rio de Janeiro. There are two daily dishes for lunch and two other snack options in the afternoon. Good service, creative menu and fair prices explain the lines. It’s right next to the streetcar that goes all the way up to Corcovado. Praça Rua Ererê, 11, Loja D, Praça São Judas Tadeu – Cosme Velho. Phone: (21) 2245-7643. Hours: Daily lunch, 12pm – 3pm. Snack from Monday to Friday, 4pm – 7pm. Lamas: This restaurant was founded in 1874, and the kitchen serve old-fashioned (and very tasty) dishes. Don’t miss the sundae with hot fudge for dessert. Rua Marquês de Abrantes, 18 – Flamengo. Phone: (21) 2556-0229. Hours: Sunday to Thursday, 9h30am – 2h30 am. Friday and Saturday, 9h30am – 3h30 am. Irajá Gastrô: Conde de Irajá Street is lined up with interesting restaurants, and this is one of the best. Chef Pedro Artagão is very creative with his recipes, and was awarded for his warm brigadeiro cake. Rua Conde de Irajá, 109 – Botafogo. Phone: (21) 2246-1395. Hours: Monday to Thursday, 12pm – 3h30pm / 7h30pm – 12am. Friday, 12pm – 15h30pm / 7h30pm – 1h30am. Saturday, 12pm – 1am. Sunday, 12pm – 12am. Naturalie Bistrô: 22 year-old chef Natalie Passos found the perfect balance of charming ambience and delicious veggie food. Ground floor has a big community table, good for meeting locals. Rua Visconde de Caravelas, 11 — Botafogo. Phone: (21) 2537-7443. Hours: Monday to Saturday, 11h30am – 4pm. 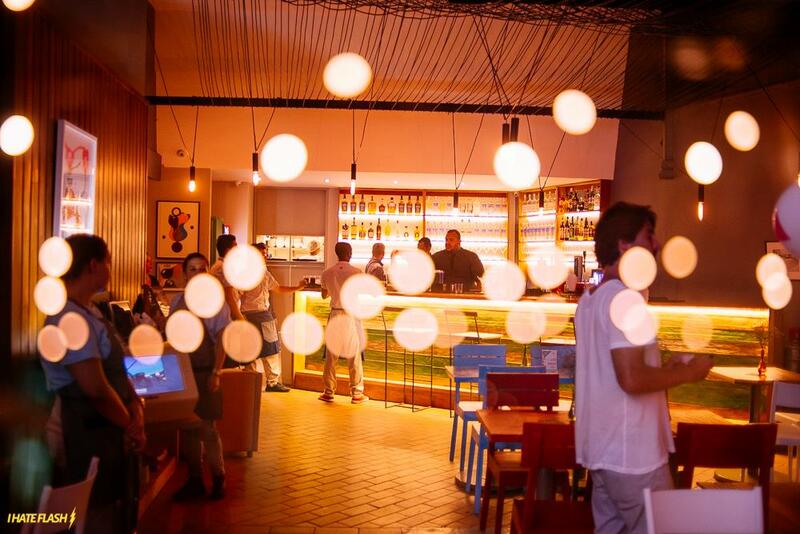 Miam Miam: one of the first comfort food venues in Rio, mixes high quality food, modern atmosphere and creative drinks, while keeping things low-profile. Rua General Góes Monteiro, 34 – Botafogo. Phone: (21) 2244-0125. Hours: Tuesday to Friday – 7pm – 12am. Saturday and holidays, 8pm – 1am. 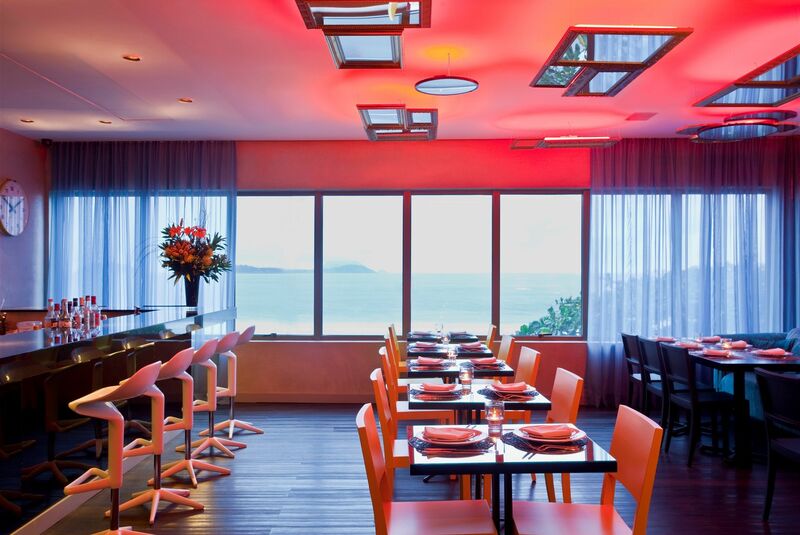 Lasai: Also in Conde de Irajá Street, is one of the Michelin-star restaurants in Rio. All vegetables are self-grown. There are no à la carte orders, just a 3-dish menu among 9 options, or a festival including 10 courses. Reservation required. Rua Conde de Irajá, 191 – Botafogo. Phone: (21) 3449-1834. Hours: Tuesday to Friday, 7h30pm – 22h30pm. Saturday, 1pm – 2h30pm / 7h30pm – 10h30pm. Cota 200: To get to the Sugar Loaf, you have to stop at Morro da Urca. Up there, this restaurant specializes in Brazilian flavors. It’s also a great place for drinks, or a glass of wine – the menu has over 200 labels. If you have a reservation, you can ride the cableway for free. Av. Pasteur, 520 – Urca (Bondinho do Pão de Açúcar). Phone: (21) 2543-8200. Hours: Monday and Tuesday, 12pm – 7pm. Wednesday to Sunday, 12pm – 12am. 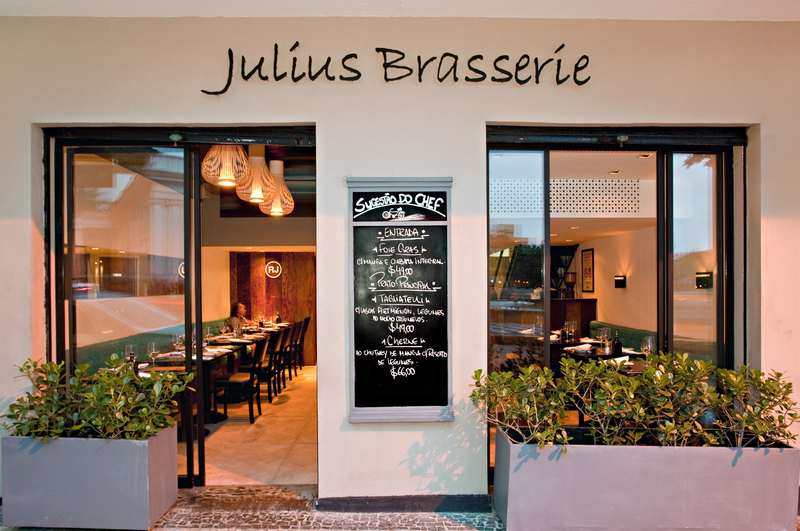 Julius Brasserie: European style cuisine, with game meat, salads, pasta and risottos. The tables by the window are disputed for the view of the sea. They serve executive menus during the week. Av. Portugal, 986 – Urca. Phone: (21) 3518-7117. Hours: Tuesday to Sunday, 10am – 12am. Bar do David: The service alone is worth the walk up Ladeira Ary Barroso. The place is very simple, and the traditional Brazilian food is delicious. To drink, you can choose between a selection of craft beers and cachaças. Ladeira Ary Barroso, 66 – loja 3. Morro Chapéu Mangueira, Leme. Phone: (21) 7808-2200. Hours: Daily, 8am – 5pm. Shirley: This Spanish restaurant is probably one of the best in the city if you’re into seafood. The quality is the same since the opening, in 1954. Rua Gustavo Sampaio, 610 – Leme. Phone: (21) 2275-1398. Hours: Daily, 12pm – 12am. Azumi: The menu has more than one hundred items of real Japanese recipes, all described in Portuguese and Japanese. But don’t be scared. The food is worth all the trouble to get it. Rua Ministro Viveiros de Castro, 127 – Copacabana. Phone: (21) 2541-4294. Hours: Sunday to Thursday, 7pm – 12am. Friday and Saturday, 7pm – 1am. Le Blé Noir: Buckwheat crepes, typical from Brittany, are perfect for the gluten-intolerant and the gluten enemies. Dishes are big, and the selection of fillings is huge. There’s a branch also in Barra da Tijuca. Rua Xavier da Silveira, 19 – Loja A – Copacabana. Phone: (21) 2267-6969. Hours: Monday to Friday, 7h30pm – 12am. Saturday, 7h30pm – 1am. Zazá Bistrô: This is the place that brought cool to Rio. Nice candle-lit house, fresh organic ingredients, inspiring drinks, half-contemporary-half-oriental cuisine, well selected soundtrack… it all justifies the wait for a table. Rua Joana Angélica, 40 – Ipanema. Phone: (21) 2247-9101. Hours: Mon. and Tue., 7h30pm – 0h30am. Wed. and Thur., 12pm – 0h30am. Sat., 1pm – 1h30am. Sun., 1pm – 0h30am. 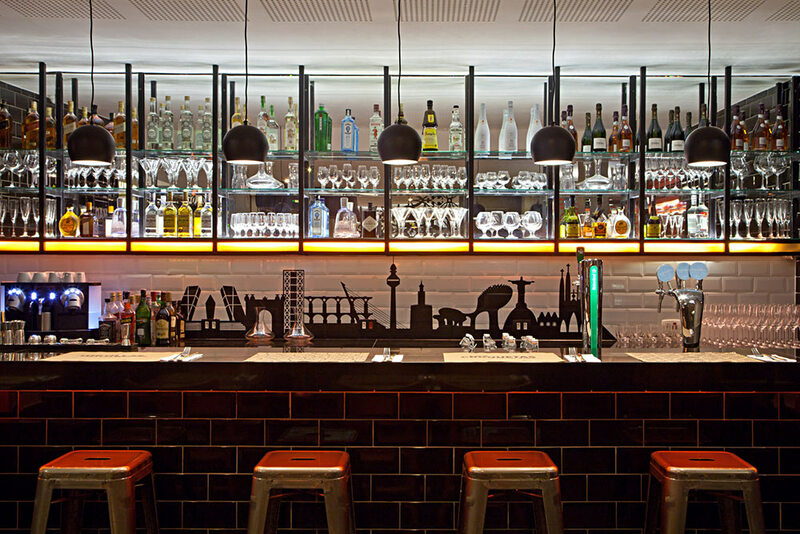 Bar D’Hotel: This is the first modern bistro in the city, meeting point of beautiful people in Leblon. Be it for the view, the good food, or the signature house drink, the Royal. Hotel All Suites – Av. Delfim Moreira, 696 – Leblon. Phone: (21) 2172-1100 e 2171-1112. Hours: Monday to Sunday, 7am – 2am. 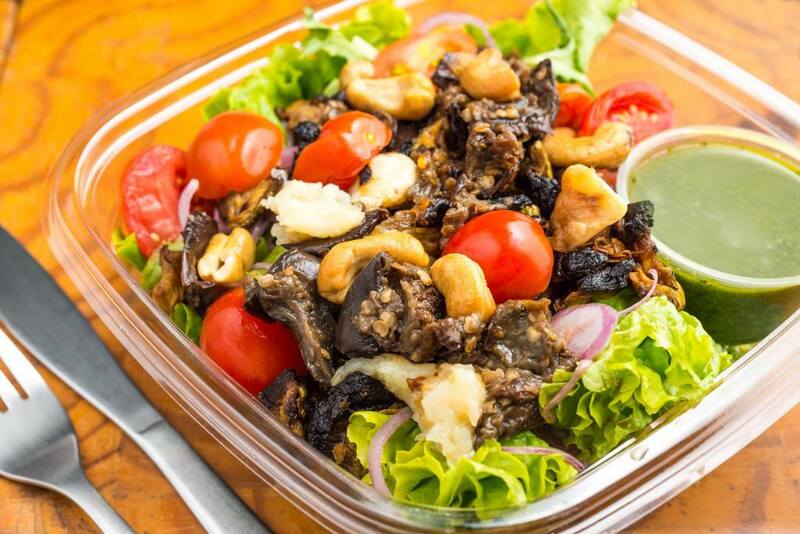 Jaeé: Among many beer drinking bars of lower Leblon, this place offers a healthy option with the salad bar concept. Fresh, tasty and good for you. Avenida Ataulfo de Paiva, 1228, loja B, Leblon. Phone: (21) 2540-5627. Hours: Daily, 8am – 11h30 pm. Zuka: Fine dining coming out of the grill, prepared by chef Ludmila Soeiro. The menu includes sophisticated options of beef, birds and seafood. Rua Dias Ferreira, 233 – Leblon. Phone: (21) 3205-7154. Hours: Monday, 7pm – 1am. Tuesday, 12pm – 4pm / 7pm – 1am. Saturday, 1pm – 1am. Sunday, 1pm – 12am. Jojô Café Bistrô: Right next to the Botanical Garden, it has a good wine menu. On Thursdays the happy hour is accompanied by fresh oysters that arrive from the south of Brazil. Rua Pacheco Leão, 812 – Jardim Botânico. Phone: (21) 3565-9007. Hours: Daily, 12pm – 12am. Roberta Sudbrack: The chef that gives the name to this place was elected the best female chef in Latin America, and the restaurant is the only in Rio to be listed among the best of the world by The Restaurant Magazine. Brazilian ingredients are beautifully executed for complex tasting menus that change everyday. Av. Lineu de Paula Machado, 916 – Jardim Botânico. Phone: (21) 3874-0139. Hours: Tuesday to Thursday, 7h30pm – 11pm. Friday, 12pm – 3pm / 8h30pm – 12am. Saturday, 8h30pm – 12am. Olympe: French chef and local TV celebrity Claude Troisgros mixes Brazilian ingredients with French cuisine tecniques, which earned him a Michelin star. Rua Custódio Serrão, 62 – Jardim Botânico. Phone: 2539-4542. Monday to Friday, 12pm – 4pm / 7h30pm – 12h30am. Saturday,7h30pm – 12h30am. Japa B: On the lower floor of this prestigious Japanese restaurant, regular all-you-can-eat sushi is served. But you should head straight to the upper floor and try the à la carte dishes, as well as the recipes chef Nao Hara create on the day. Rua José Joaquim Seabra, 10 – Lagoa. Phone. : (21) 2530-0780. Horário: Monday to Friday, 11h30am – 12am. Saturday and Sunday, 12pm – 12am. Braseiro da Gávea: Lower Gávea is a place cariocas come to see and be seen. 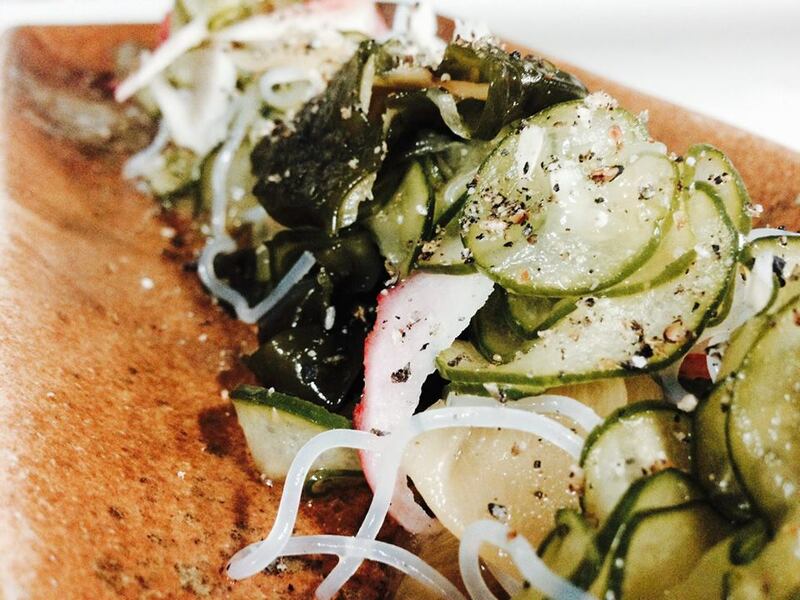 This old-school restaurant keeps its characteristic simple environment and honest food. Praça Santos Dumont, 116 – Gávea. Phone: (21) 2239-7494. Hours: Sunday to Thursday, 11am – 1am. Friday and Saturday, 12pm – 3am. Guimas: This traditional bistro keeps its formula since 1981: super cozy, nice service and fair prices. Comfort food at its best. R. José Roberto Macedo Soares, 5 – Gávea. Phone: (21) 2259-7996. Hours: Daily, 12pm – 1am. Bar dos Descasados: despite the name (bar of the unmarried), it’s a very romantic bar that pays homage to the hotel that was there before, where newly divorced people used to stay. Apart from the great view of Santa Teresa, decor also counts with candle lit sofas and lounge beds for couples to enjoy alone. Rua Felício dos Santos, s/nº – Santa Teresa. Phone: (21) 3380-0240. Hours: Daily, 12pm – 12am. Bar do Mineiro is always packed, hot and service is not the best. But the food is worth the visit. 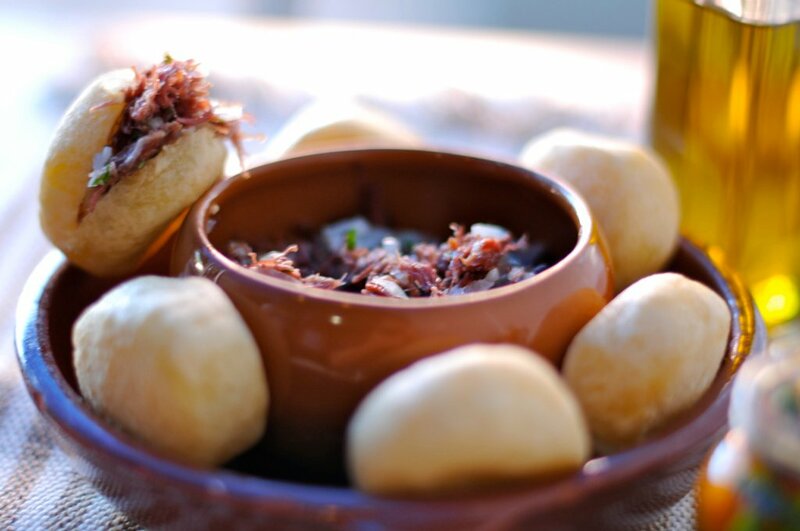 There you can taste some of the best mineiro snacks in town. Rua Paschoal Carlos Magno, 99 – Santa Teresa. Phone: (21) 2221-9227. Hours: Daily, 11am – 1am. Meza: famous for the drinks, it also shines for the food, served in little pots. Potions are small on purpose: so you can taste several. The area around is filled with bars, so it’s a perfect place for a night of barhopping. R. Capitão Salomão, 69 – Humaitá. Phone: (21) 3239-1951. Hours: Mon to Wed., 6pm – 1am. Thu., 6pm – 2am. Fri., 6pm – 3am. Sat., 11am – 3am. Sun., 11am – 1am. Comuna: mix of bar, nightclub and cultural hub, Comuna is famous also for good drinks and a juicy burger. You’ll find there exhibitions, a bookstore, a vinyl store, craft beer, and various events filled with cool people. It gets so packed that the dive bars around are also getting quite busy. R. Sorocaba, 585 – Botafogo. Phone: (21) 3029-0789. Hours: Tuesday to Saturday, 6pm – 2am. Sunday, 6pm – 12am. Bar do Alto: the adventure starts in Leme, where you get a mototaxi uphill to Morro da Babilônia, in the middle of a favela. There, you still have to climb up the stairs following the loud beats that come from the back. 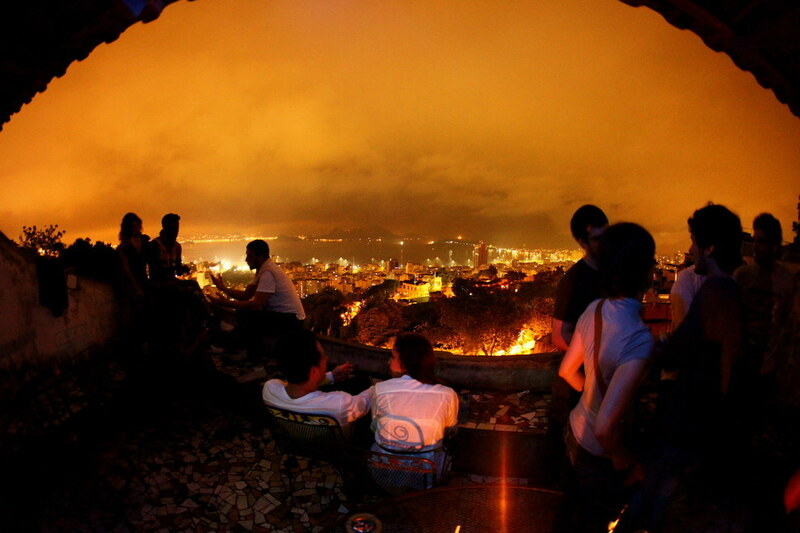 Finally you reach Bar do Alto, where you find good drinking and eating, warm service and a breathtaking view. Rua São Jorge, Casa 4 – Final da Ladeira Ary Barroso – Leme. Phone: (21) 2530-2506. Hours: Monday to Friday, 12pm – 12am. Saturday and Sunday, 1pm – 12am. Adega Pérola: probably the oldest boteco in the city, serving more than 40 types of snacks over the counter. Not to mention the others that come from the kitchen. It’s best to arrive early, or you’ll have trouble getting a table. But cariocas don’t mind getting beer inside and taking it to enjoy on the sidewalk. Rua Siqueira Campos, 138 – Copacabana. Phone: (21) 2255-9425. Hours: Monday to Thursday, 11am – 12am. Friday and Saturday, 11am – 1am. 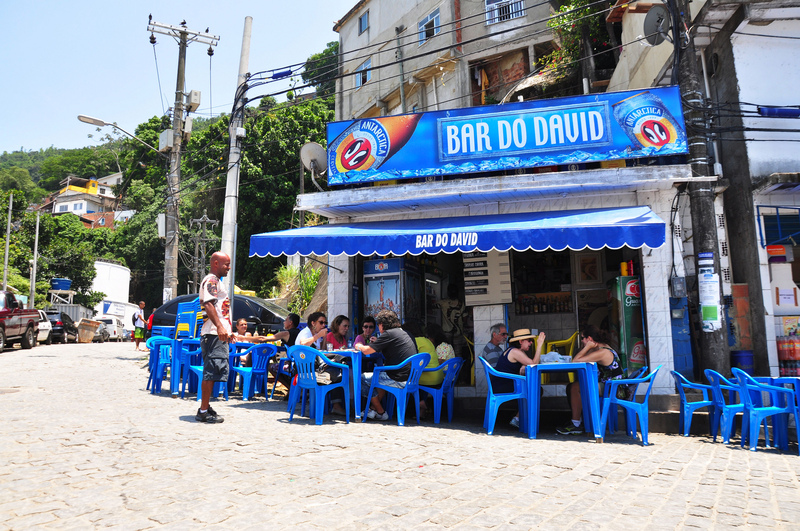 Pavão Azul: another drink-on-the-sidewalk kind of bar, here the star of the menu are the deepfried codfish balls. Very good prices, lots of cheerful drinkers, and a true carioca experience. Rua Hilário de Gouveia, 71 – Copacabana. Phone:(21) 2236-2381. Hours: Daily, 12pm – 12am. Temporada: this bar is inside Hotel Arpoador, and all the tables and chairs are purposely facing the sea. Drinks are equally tasty and beautiful. Rua Francisco Bhering, n° 65 – Arpoador. Phone: (21) 2523 0066. Hours: Daily, 7am – 12am. Astor: this famous bar from São Paulo opened a branch in Rio in one of the best spots there is, right in front of Ipanema Beach. Their forte are the exclusive drinks, with a very creative menu, and then some made up according to the client’s wishes. Av. Vieira Souto, 110 – Ipanema. Phone: (21) 2523-0085. Hours: Mon. to Wed., 6pm – 1am. Thu., 6pm – 2am. Fri., 1pm – 3am. Sat., 12pm – 3am. Sun., 12pm – 10pm. Academia da Cachaça: no English needed to get this one. The academy of cachaça offers a professional approach in dealing with the typical Brazilian liquor. Don’t forget to try the snacks, all harmonized with each drink. Rua Conde de Bernadotte, 26 – Leblon. Phone: (21) 2239-1542. Hours: Daily, 12pm – 2am. Jeffrey Store: the duck-face craft beer took over gloomy Tubira Street and changed it forever. You can find the beer in lots of places, but their store is a colorful cultural place that gathers lots of fans. Rua Tubira, 8 – Leblon. Phone: (21) 2274-0000. Hours: Monday to Friday, 11am – 8pm. Saturday, 12pm – 6pm. Bar da Frente: mother and daughter took over the house where Aconchego Carioca used to be, when it moved across the street. Now they are famous for some of the best snacks in Rio, winning awards for them. R. Barão de Iguatemi, 388 – Praça da Bandeira. Phone: (21) 2502-0176. Hours: Tuesday to Saturday, 12pm – 10pm. Sunday, 12pm – 4pm. Bar do Sobe: the trendy terrace faces the Christ and the bar serves inventive drinks, like a capirinha made with gin. On Sundays, a party called Yaya takes place there. Rua Pacheco Leão, 724 – Jardim Botânico. Phone: (21) 3114-7691. Hours: Tue. and Wed., 6pm – 1am. Thu. and Fri., 6pm – 2am. Sat., 1pm – 2am. Sun., 6pm – 1am. Bar Rebouças: the entrance is a small door squeezed between a bakery and a juice place. During the day you’ll probably pass by it and not even notice. But at night tables take over the sidewalk, and it becomes a hotspot for beer drinkers. R. Maria Angélica, 197 – Loja 02 – Jardim Botânico. Phone: (21) 2286-3212. Hours: Monday to Friday, 7am – 2am. 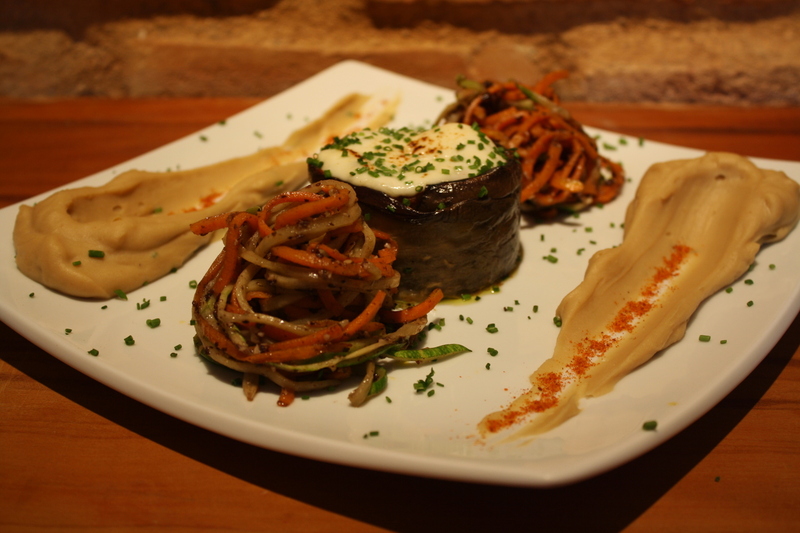 Entretapas: as the name suggests, strong here are the Spanish tapas, that go along well with white wine sangrias, and other Iberic-inspired drinks. Opened in 2010 in Botafogo, it went so well that another opened in Jardim Botânico. Rua Conde de Irajá, 115 – Botafogo e Rua Saturnino de Brito, 84 – Lagoa. Phone: (21) 2537-0673. Hours: Monday to Friday, 7pm – 12am. Saturday and Sunday, 12pm – 11pm. 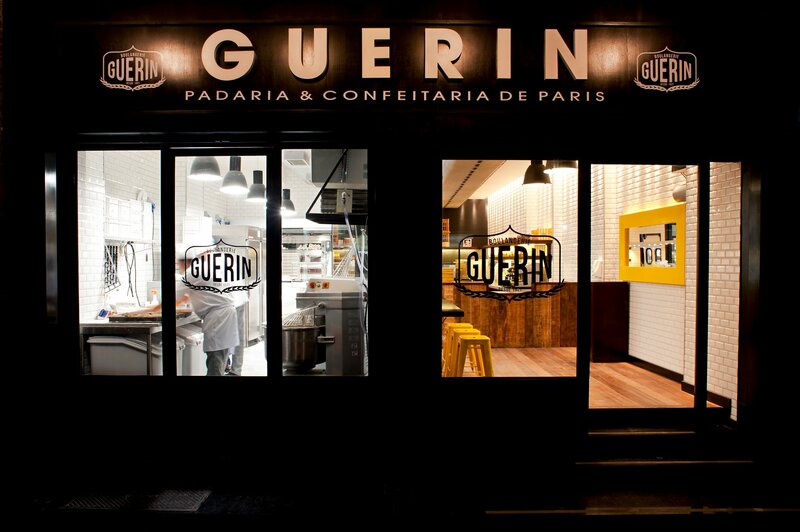 Boulangerie Guerin: French chef Dominique Guerin opened many small stores that sell some of the best delicatessen in Rio, including baguettes, croissants, quiches and éclaires. Not really a place to stay, although they all have small tables for people to have a quick bite. Rua Jardim Botânico, 67/loja H – Jardim Botânico. Phone: (21) 2523-4140. Daily, 8am – 9pm. 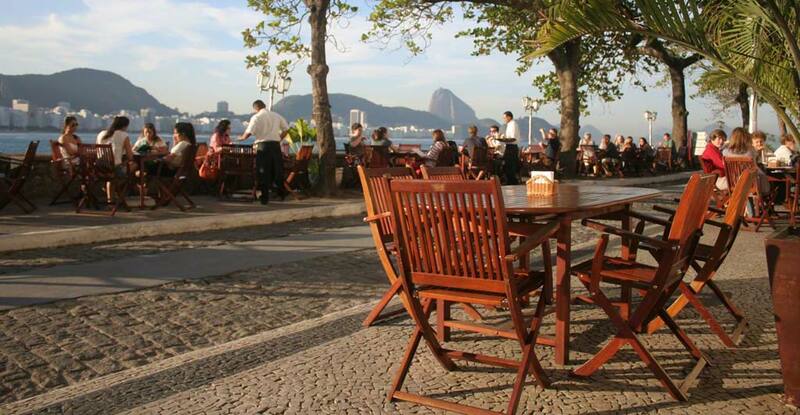 Café no Parque Lage: perfect for a bucolic Sunday meal, this café is inside one of the prettiest spots of Rio. Therefor, it’s better to arrive early. Parque Lage. R. Jardim Botânico, 414 – Jardim Botânico. Phone: (21) 2226-8125. Hours: Saturday and Sunday, 9am – 5pm. Monday to Friday, 9am – 11pm. Empório Jardim: not only this place is a perfect mix of bistro, bakery and delicatessen, it’s also one of the few spots where you can have breakfast all day long. Just walk around the counters and choose what you please. Rua Visconde da Graça, 51 – Jardim Botânico. Phone: (21) 2535-9862. Hours: Daily, 8am – 10pm. La Bicyclette: it all started with a simple bike delivery service, and turned out to be one of the best cafés in the city. Imagine a place where you can warm your own bread in individual toasters! Also, the chocolate fondant is to die for. Rua Pacheco Leão 320 loja D. Phone: (21) 3256-9052. Hours: Monday, 8h30am – 9pm. Saturday, Sunday and Holidays, 8h30am – 8pm. Espaço Tom Jobim. Rua Jardim Botânico, 1008, Jardim Botânico. Phone: (21) 3594-2589. Hours: Mon., 12pm – 6pm. Tue. to Thu., 8h30am – 6pm. Fri. to Sun. and Holidays, 8h30am until the beggining of the shows. Casa Carandaí: a little bit overpriced, but with a good selection of cheese, wines, fruits, yogurt, quiches and sanduiches, including s German sausage hot-dog. R. Lopes Quintas, 165 – Jardim Botânico. Phone: (21) 3114-0179. Hours: Monday to Saturday, 9am – 9pm. Sunday, 9am – 5pm. Curto Café: first pay-what-you-want venue in Brazil to actually work, only serves coffee and capuccino. There’s a board informing all the monthly costs to keep it running, and everybody pays what they think the coffee was worth. Av. Erasmo Braga, 278, Sobreloja, LQ 47 – Centro. Phone: (21) 98323-0183 ou 98176-2582. Hours: Monday to Friday, 10am – 5pm. 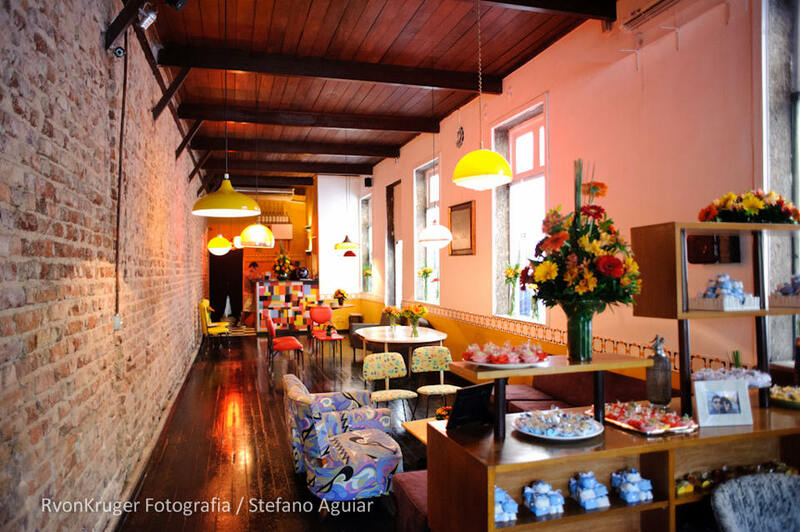 Confeitaria Colombo: founded in 1894, it’s already part of Rio’s cultural heritage. The traditional is in the Center, but the branch in Copacabana is just as interesting. It’s inside the old fort, and you have to pay R$6 to get in, but it’s well worth it. Praça Coronel Eugênio Franco, 1 – Copacabana. Phone: (21) 3201-4049. Hours: Tuesday to Sunday, 10am – 8pm. Cafeína: there are many venues spreaded around South Zone, and all of them are good choices for a late breakfast, or at least a quick coffee followed by a piece of candy. All the addresses are available in the official site. Our favorites: Rua Farme de Amoedo, 43, Ipanema. Phone: (21) 2521-2194. Hours: Daily, 8am – 2h30am. Rua Barata Ribeiro, 507, Copacabana. Phone: (21). Daily, 8am – 11pm. 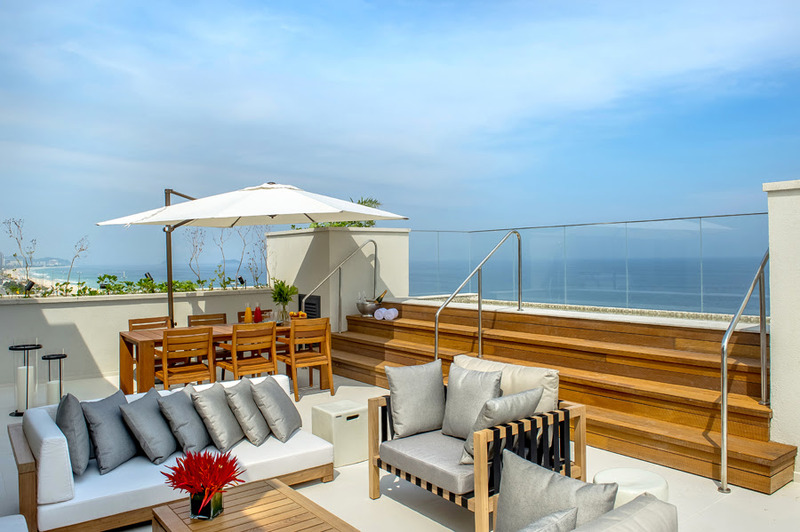 Espaço 7Zero6: the rooftop at Praia Ipanema Hotel is open to the public, and offers a great view of the beach. Prices are a little sour, but the buffet with a huge variety of juices, jams, cold cuts, eggs and a glass of sparkling wine will sweeten the day. Reservation is advised. Praia Ipanema Hotel – Av. Vieira Souto, 706 – Ipanema. Phone: (21) 2141-4992. Hours: Breakfast: Fri. Sat. Sun. and Holidays, 8am – 2pm. Lunch: Mon. to Thu., 12pm – 3pm. Tea: Mon. to Fri., 3pm – 6pm. Dinner: Daily, 7pm – 9am. Talho Capixaba: it used to be a butcher shop, and now it turned into a mix of bakery, boulangerie and delicatessen. It’s also one of the busiest breakfasts in Leblon. Av. Ataulfo de Paiva, 1022 A – Leblon. Phone: (21) 2512-8760. Hours: Daily, 7am – 10pm. Da Casa da Tatá: this place looks like your granny’s house. And the complete breakfast with bread, jam, juices and coffee will probably make you feel like that too. They serve also a nice lunch there. R. Prof. Manuel Ferreira, 89 – Lojas N e O – Gávea. Phone: (21) 2511-0947. Hours: Monday to Friday, 8am – 8pm. Saturday, 8am – 6h30pm. Sunday, 9am – 2pm. 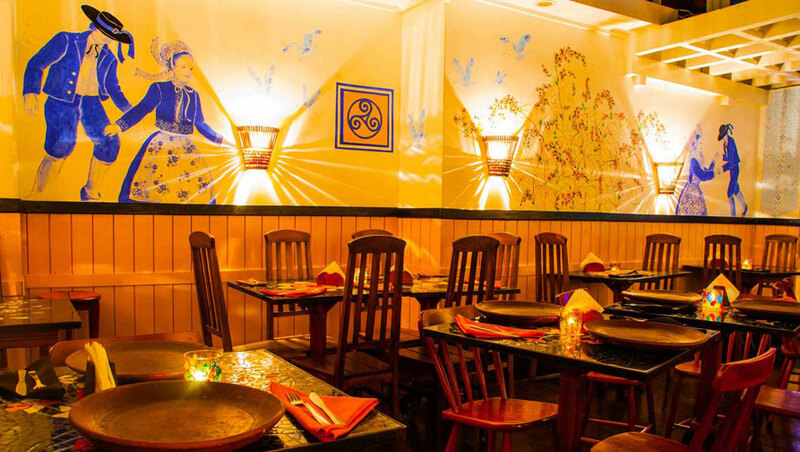 Café Secreto: The space is small but the food is good. Coffee is really well prepared, and the artisanal sourdough bread goes well with it. Rua Gago Coutinho, 6 – casa 8, Largo do Machado. Hours: Monday to Friday, 10am – 6pm. 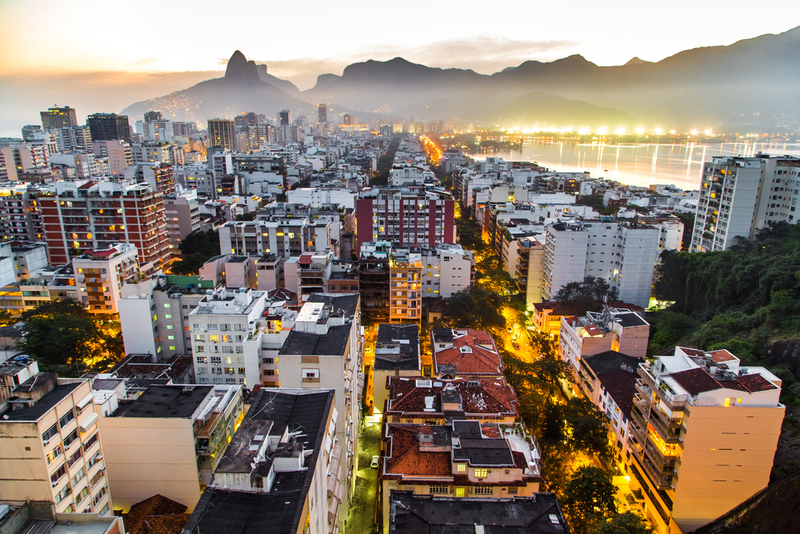 Rio de Janeiro has always been a day city, but nightlife is also very lively. 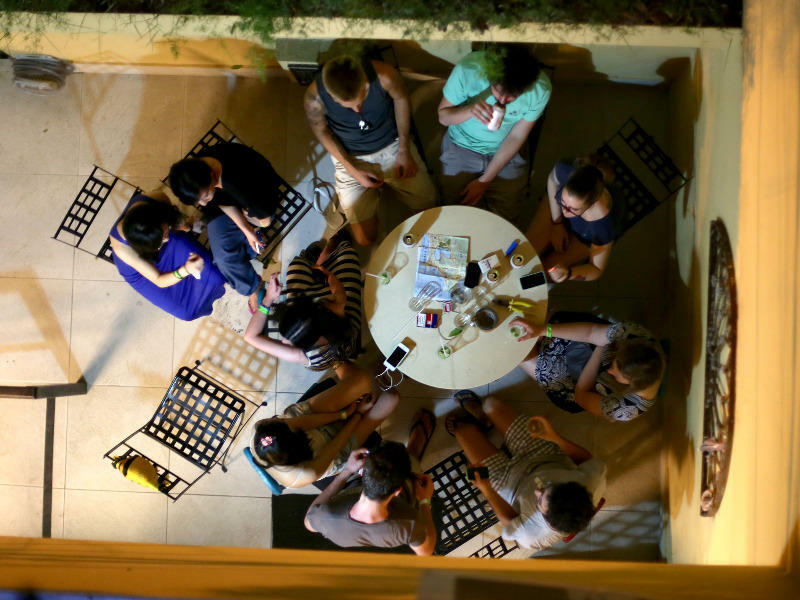 For the last couple of years, aparte from nightclubs, open air parties have caught the public’s attention and are getting more and more crowded. We publish a weekly guide with the best parties and concerts in Rio here in Chicken or Pasta, so no one will stay home during the weekends. Don’t forget to check it out. 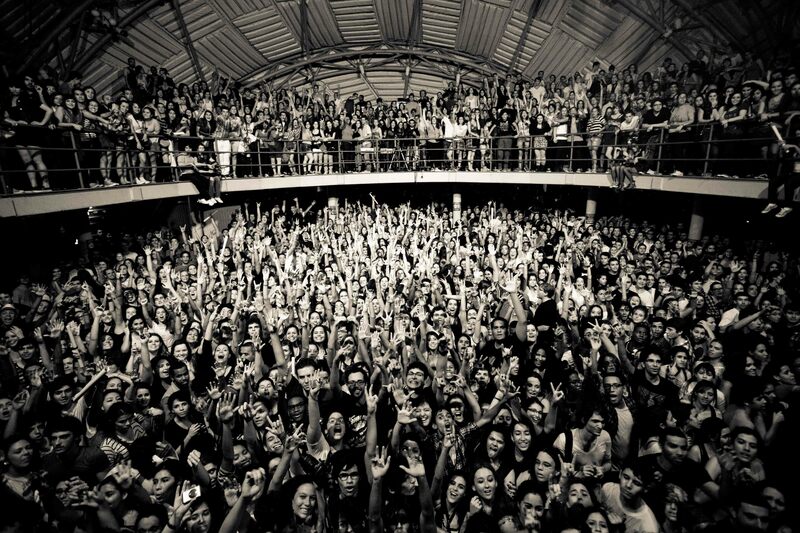 Circo Voador: for over 30 years, this has been Rio’s most emblematic concert hall. Fitting more than 2 thousand people at once, concerts here are sure to be fun. Rua dos Arcos, s/nº- Lapa. Phone: (21) 2533-0354. Audio Rebel: it’s a store, a studio, and a place where great independent concerts take place. It’s small, but big enough to launch some of the best musicians in the scene right now. R. Visconde de Silva, 55 – Botafogo. Phone: (21) 3435-2692. Hours: Monday to Sunday, 10am – 2am. The Maze: although it’s actually a hostel, people come to here for the monthly jazz night at the bar. It’s in the middle of Tavares Bastos favela, and the name couldn’t be more appropriate. R. Tavares Bastos, 414 – Catete. Phone: (21) 2558-5547. 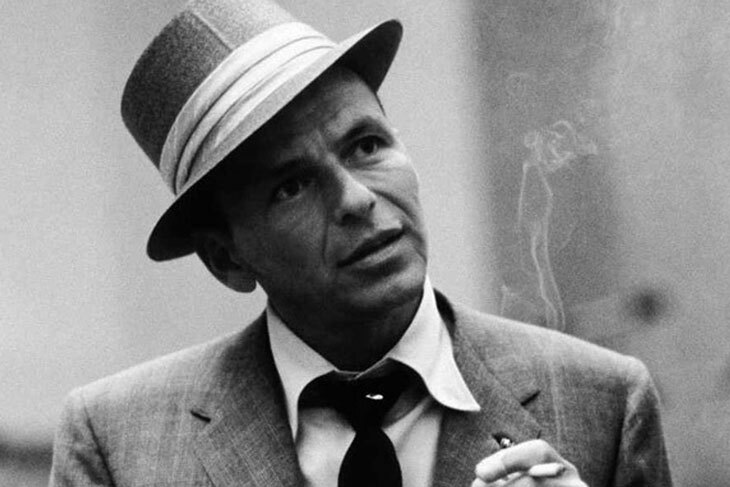 Jazz nights are always on Friday, at 10pm (check schedule). Casa Nuvem: here you can find music, art, food, cool people and lots of fun. One of the best alternative parties in the city, but check the website to see what’s on. Rua Morais e Vale, 18 – Lapa. Casa da Matriz: this longlasting rock club has an eclectic agenda. Wednesdays are packed for the indie karaoke night. From Thursday to Saturday, it’s good to know which party is on, because it can turn out to be huge fun, or a massive trap. R. Henrique de Novais, 107 – Botafogo. Phone: (21) 2226-9691. Hours: Wed., 8pm – 5am. Tue., Thu., Fri. and Sat., 11pm – 6am. Jazz in Champanheria: here you’ll find amazing musical selection, in a historical mansion in Praça Mauá, accompanied by a nice menu of champagne, proseccos, cavas and other sparkling wines. Great place for an upscale happy hour. Rua Sacadura Cabral, 63 – Praça Mauá. Phone: (21)2253-7916. Hours: Tue. to Thu., 6pm – 1am. Fri., 6pm – 2am. Sat., 10pm – 5am. 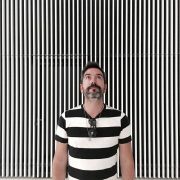 Museu do Amanhã: newly opened, and designed by famous Spanish architect Santiago Calatrava, it invites people to examine the past, know the recent transformations and imagine possible scenarios for the next 50 years, all through science. Praça Mauá, 1 – Centro. Hours: Tuesday to Sunday, 12pm – 7pm. 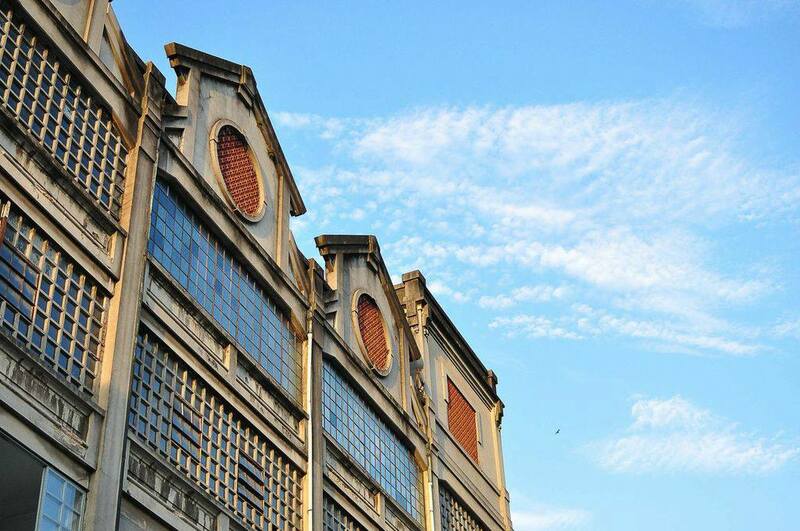 Fábrica de chocolates Bhering: this old factory building has been taken by artists, photographers and artisans, who keep their studios open to the public. The old machinery left there make the whole visit yet more interesting. Sometimes big events happen there, but visitors are always welcome. R. Orestes, 28 – Santo Cristo. Phone: (21) 2213-0014. Hours: Monday to Saturday, 9am – 8pm. Anita Schwartz Galeria de Arte: this three-story art gallery has different exhibitions in each floor, including a balcony where video-instalations are always on display. They showcase both famous artists and new talent. R. José Roberto Macedo Soares, 30 – Gávea. Phone: (21) 2274-3873. Hours: Monday to Friday, 10am – 8pm. Saturday, 12pm – 6pm. Caixa Cultural: in over 6 thousand square meters, you can find an auditorium, 2 movie theaters, 4 art galleries, plus rehearsal rooms and studios. Not to mention that part of the events is completely free. Av. Almirante Barroso, 22 – Centro. Phone: (21) 2262-8152. Hours: Tuesday to Sunday, 10am – 9pm. MAR: a classical palace and a modernist bus terminal where connected in 2013 to convert into one big art museum. Apart from the art exhibitions, there are also multimedia and educational events. One Friday per month is dedicated to a free music event curated by Circo Voador. Museu de Arte do Rio. Praça Mauá, 5 – Centro. Phone: (21) 3031-2741. Hours: Wednesday to Sunday, 9am – 6pm. Tuesday, 9am – 8 pm. Instituto Moreira Salles: this used to be ambassador Walther Moreira Salles’ house. Now, the modernist mansion with gardens designed by Burle Marx hold art exhibitions, focusing in photography, music, literature and iconography. R. Marquês de São Vicente, 476 – Gávea. Phone: (21) 3284-7400. Hours: Tuesday to Sunday, 11am – 8pm. Centro Cultural Banco do Brasil: the beautiful neo-classical building was turned in 1989 into one of the most important cultural hubs in Brazil, showcasing art exhibitions, theater, music concerts, cinema and workshops. Once a month, they throw a free party outside of the building, that lasts until dawn. Rua Primeiro de Março, 66 – Centro. Phone: (21) 3808-2020. Hours: Wednesday to Monday, 9am – 9pm. 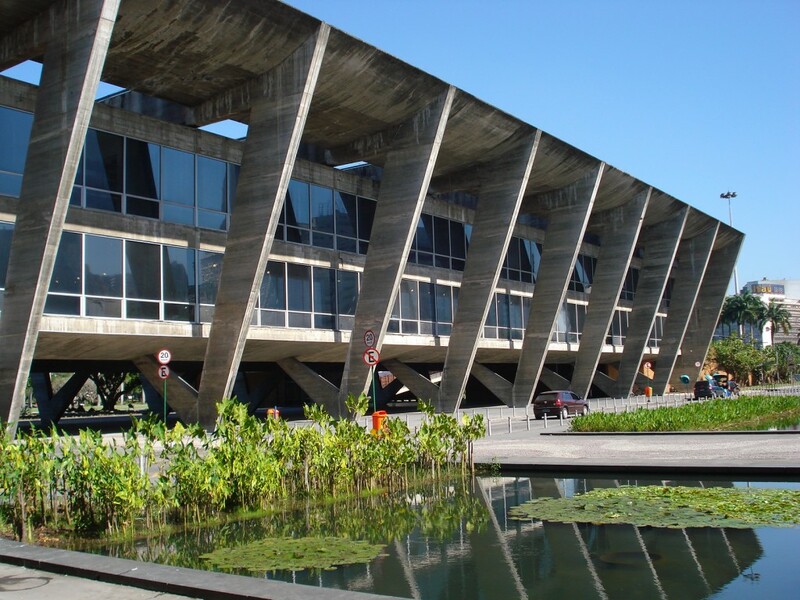 Museu de Arte Moderna: surrounded by Flamengo Park, this museum is modernist architect Affonso Eduardo Reidy’s masterpiece. It holds a collection of more than 11 thousand art pieces. Lately, the gardens around it have been used for picnics and different events. Av. Infante Dom Henrique 85, Aterro do Flamengo. Phone: (21) 2240-4944. Hours: Tue. to Fri., 12pm – 6pm. Sat. and Sun., 11am – 6pm. Oi Futuro Flamengo: this used to be the Museum of Telephone, and now it’s a cultural center for new technologies and languages. They also also several music events and theater plays. It has a younger brother in Ipanema. Rua Dois de Dezembro, 63 – Flamengo. Phone:(21) 3131-3060. Hours: Tuesday to Sunday, 11am – 8pm. Oi Futuro Ipanema: Rua Visconde de Pirajá, 54 – Ipanema. Phone: (21) 3131- 9333 Hours: Tuesday to Sunday, 1pm – 9 pm. Real Gabinete Português de Leitura: This movie-set like library was built by the Portuguese and opened by Princess Isabel in 1887. They hold the biggest Portuguese collection out of Portugal, with over 300 thousand books. Rua Luís de Camões, 30 – Centro. Phone: (21) 2221-3138. Hours: Monday to Friday, 9am – 6pm. How about climbing Sugar Loaf in a different way? If you don’t want to take the cableway, it’s possible to hike an easy trail up to Morro da Urca, and from there just follow Claudio Coutinho Way to the top. It’s steep, but it shouldn’t take more than a half hour. The way down has to be followed by a nice walk around the neighborhood, ending with a cold beer in Bar Urca. Can’t get more carioca than that. Either biking, jogging or just walking, going through Alto da Boa Vista and Floresta da Tijuca is a great way to exercise. It’s one of the few spots where you see more bikes than cars. 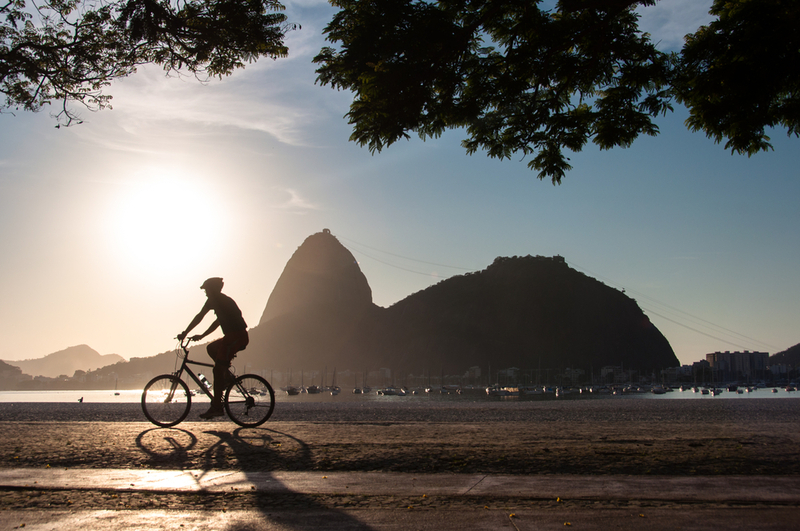 With the proper bike (you can rent it at Galeria River), you can ride from Ipanema to Jardim de Alah, Lagoa, Jardim Botânico, Horto, Vista Chinesa, until Mesa do Imperador. It takes around 12km to get to the biggest urban forest in the world. 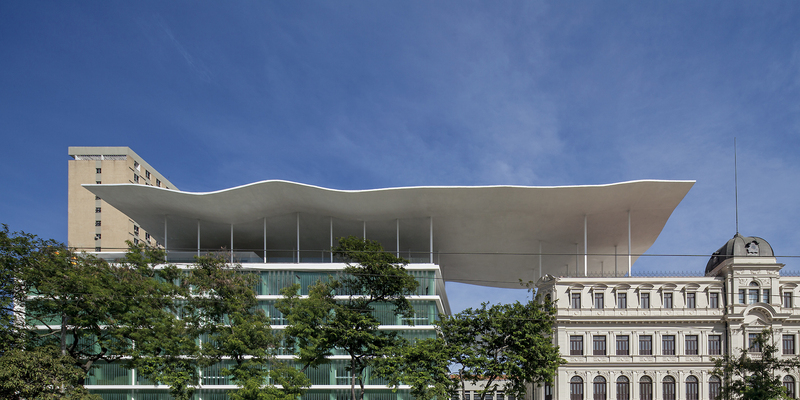 Newly renovated Praça Mauá houses both MAR and Museu do Amanhã, mentioned above. You can visit them both in the same day. Nearby, Morro da Conceição is a nice place to wander and maybe grab something to eat (we recommend Imaculada). Further away are the Jardins Suspensos do Valongo, the old gardens of Rio that recently got restored. Praia Vermelha: Since it’s not very popular, it’s one of the quietest. At the foot of the Suger Loaf, its usually proper for bathing, even though it’s in Urca, and by Guanabara Bay. Sometimes you can get a music concert there, and at night people make luaus. 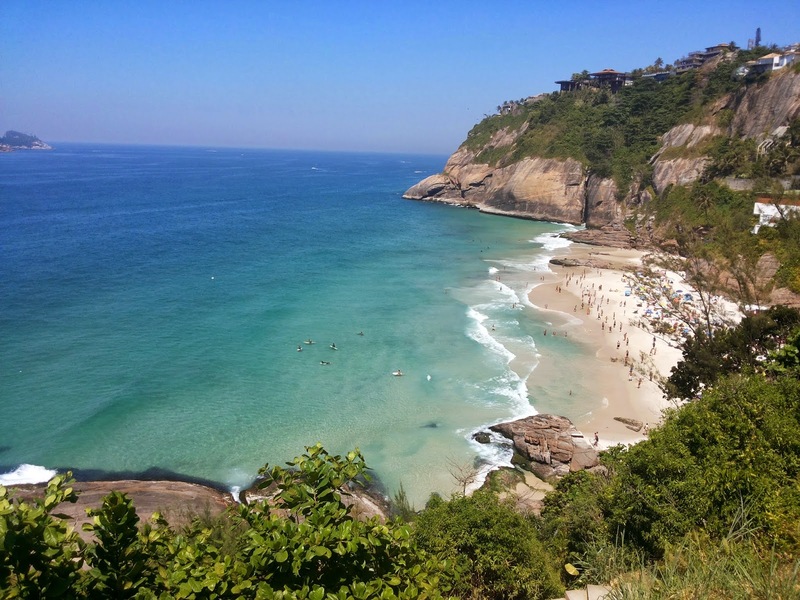 Leme: Frankly, it’s just the north stretch of Copacabana Beach, but it’s got its own charm. Could be the neighborhood around, that has this small town feel to it. At the promenade are some of the best bars and restaurants by the seaside, like La Fiorentina and Da Brambini. Copacabana: Although it’s the most famous, it’s not really the prettiest. However, calm waters around Posto 6 attract sea swimmers and stand-up paddlers. Anyone can swim there, but if you’re looking for supervised training, Equipe Fox charges mere R$40 per day to help. Stand-up boards are also available to rent, but take care with the water flow. Praia do Diabo: This small stretch of sand hides between Copacabana and Arpoador, that only shows up during low tides. Wind can be tricky here, so pay attention to the signs if you plan to swim here. Arpoador: This small part of Ipanema Beach, close to Arpoador Rock, is one of cariocas’ favorites. People gather over the rock everyday to watch the sun set (and applaud it). Behind the rock there’s also a small park, where some events take place. Ipanema: Worldwide famous because of the song, Ipanema is also one of the most crowded, and the one with the best infra-structure in Rio. Fancy hotels and good restaurants line up around the promenade, but if you want to have a real carioca experience, you should eat and drink from the tents set up on the sand. Even Anthony Bourdain came to taste sandwiches at Barraca do Uruguai. Twice! Leblon: the richest half of Ipanema beach is Leblon, on the west corner. The feeling is almost the same, but there’s something a little less festive about it. Mirante do Leblon, over the rocks right at the end, is a nice place to see the beach from above. Joatinga: Being only 300m long, this beach can disappear in high tide. But the difficult access makes it one of the wildest, and that’s what people come looking for. To get there, you have do enter a private condo at Rua Pascoal Segreto, and then to Rua Sargento José da Silva, where you’ll find a steep staircase leading down to the beach. Problem is, it’s quite hard to get there without a car. 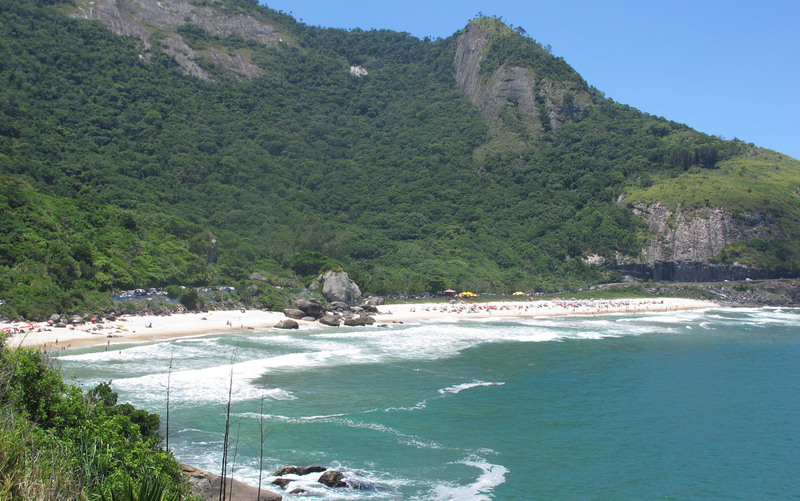 Barra da Tijuca: Praia da Barra is a little too far away for people coming from the South Zone. However, if you decide to go there, you won’t regret it. Thin white sand, turquoise waters, lots of kiosk bars close to the beach… There are no clear sections, so the crowd tends to get more diverse and mixed. Prainha: Squeezed between two mountains, and inside a environmental reserve, is mostly attended by surfers. Downside: it’s only accessible by car. There’s a shuttle bus called Surf Bus, leaving from Largo do Machado, in Flamengo. But it doesn’t work all year long, and it takes quite a while to get there. Grumari: Of untouched beauty, and also in a environmental reserve, Grumari is hard to get to as well. Good thing is you can find drinks, food, parasols and chairs at Quiosque do Alemão. And 5 minutes away from there, Marambaia Café is a good option for lunch after the beach.